HomeNews in PerspectiveCash for votes at constitutional change referendum? Speculations are growing in and out of Sierra Leone, regarding the $7 million (Le31.5 billion) funding that was approved last week by the World Bank, “to help the Koroma government tackle growing levels of poverty in the country”. Critics say that the true intention of the funding agreement is to help president Koroma win the forthcoming ‘change of presidential fixed term of office’ referendum. The country’s constitution, which states that no president shall serve more than two terms in office, is currently the subject of a national review and consultation. There are growing fears that the $7 million dollars will be used to buy votes at the ‘constitutional change referendum’, which could effectively keep Koroma in power for another five years or in perpetuity, as many now suspect. Early this year, the World Bank was warned not to get embroiled in Sierra Leone’s politics, but to act as a catalyst for transformational change in the country, after it had published pro-Koroma statements. 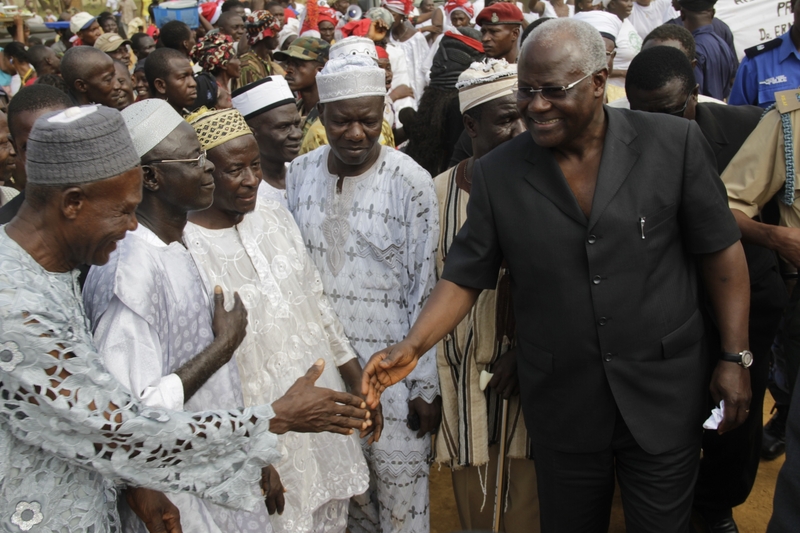 President Koroma has won two successive elections and is due to step down in 2017, in accordance with the constitution. But supporters of the president, including key sections of the international community, appear to be less inclined to see a change of leadership in Sierra Leone, anytime soon. The ‘constitutional change referendum’ is expected to take place either at the end of 2014, or early 2015. The country’s main opposition SLPP party and civil society groups, say that any change to the constitution, which allows the head of state to stay in office for more than two terms, will threaten the country’s fragile peace. 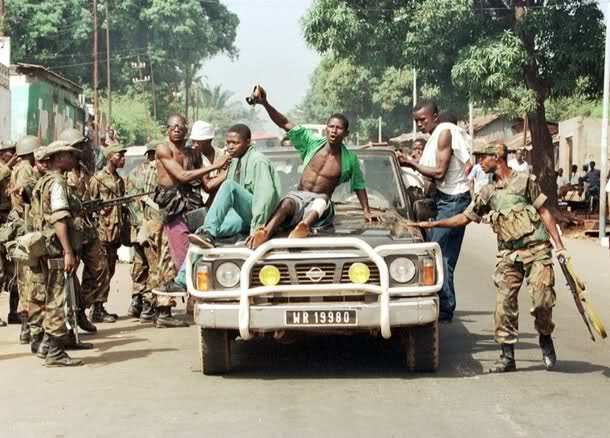 Sierra Leone’s brutal civil war, which lasted over ten years – leaving hundreds of thousands dead, was caused by the despotic, one party rule of the ruling APC – now in office once again. But the government says that the $7 million World Bank funding is needed to help plug its 2014 Budget deficit, and provide cash support for the poor. Despite the significantly higher than continent’s average GDP growth, placing Sierra Leone as one of the fastest growing economies in Africa, with 13% GDP in 2013, more than 70% of the country’s population are struggling to survive on less than $1 a day. 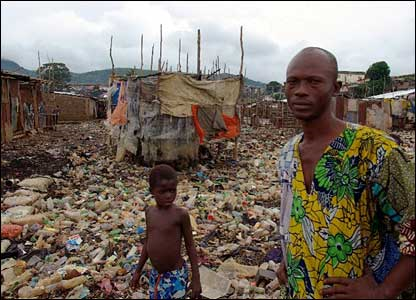 Although inter-generational poverty and deprivation cuts across the tribal and regional divide, the impact of growing poverty in Sierra Leone is most visible in the capital Freetown and other major provincial cities. And with rising youth unemployment, the growing incidence of crime and lawlessness in the country does not come as a surprise. But the political cost of instability and breakdown in law and order, caused by joblessness, is far too great for the government and the international community to contemplate. “The programme will target twelve thousand (12000) extremely poor households, with an estimated population of seventy two thousand (72,000) direct beneficiaries,” Says Marah. Net Project estimated at $11.0 million, which will be implemented in 2014 is almost complete. Government will contribute about Le4.0 billion to this project. “The project will provide direct cash transfers to 22,000 extremely poor households and will specifically target women to ensure that benefits accrued to disadvantaged women, pregnant women and lactating mothers and young children will support disadvantaged households. But the complexity of the programme, the capacity to deliver any benefits, and the risk of perpetuating the cycle of dependency, appear to have been ill-thought out. “Sierra Leone has experienced strong growth over the last decade, yet 66% of the population remain poor, and 13.9% – an estimated 143,000 households (about one million people) are extremely poor,” minister Marah admitted, contrary to what he told the country’s parliament. 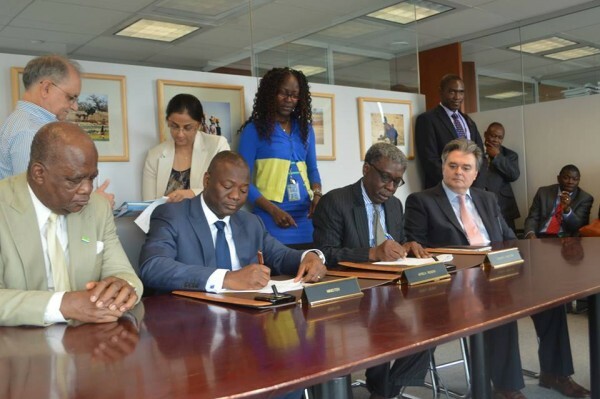 Although the minister assured the World Bank that “the money will be judiciously used, as spelt out in the agreement” and guaranteed that “the required results will be achieved,” observers believe that this programme is yet another ‘get rich quick’ scheme, and a ‘gravy train’ for corrupt officials. 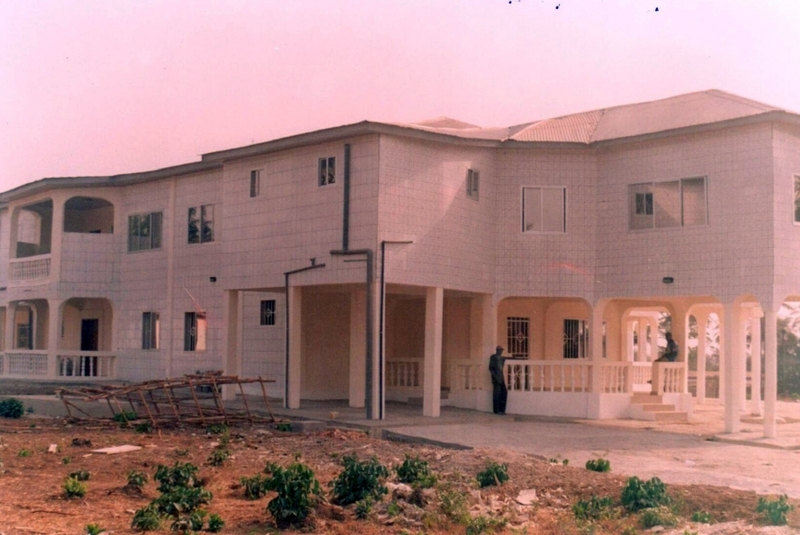 (Photo: One of the new mansions built for the president in his hometown – Makeni). As speculation grows in and out of Sierra Leone, as to the true intention of the World Bank’s $7 million funding, critics fear that the money will be used to help president Koroma bribe his way into changing the country’s constitution, so as to continue in power for another five years, or even longer. The country’s constitution review process and national consultation is being watched very closely by the opposition and civil society groups, for any signs of gerrymandering, or cash for votes, at the forthcoming constitutional change referendum. Any change to the central tenet of Sierra Leone’s democratic and constitutional ethos – which states that ‘no leader shall serve more than two terms’, will spell disaster for the country’s democratic freedoms. The international community – including the World Bank, must therefore respect this fundamental ethos – enshrined in the country’s constitution, and avoid clientelism and political partisanship at all cost. They must remain politically neutral. The fixed, two terms presidential rule enshrined in the constitution, is the only democratic option available to the people of Sierra Leone, when poor leadership and bad governance threaten their chances of survival. This, must remain sacrosanct, no matter the circumstances, including political expediency. 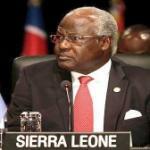 There is no transparency, no checks and balances in the political environment in Sierra Leone. Until these are put in place, our beloved Sierra Leone will not survive these political hustlers.